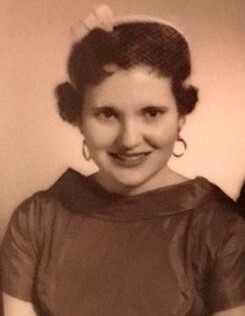 Ruth Miller, age 80, of Country Side Drive in Lancaster, Kentucky, passed away Tuesday, August 14, 2018 at Landmark of Lancaster. Born Sunday, October 10, 1937 in Ohio County, Kentucky, she was the daughter of the late Hezekiah & Lillie Brown. Ruth retired from Square D and was a member of Stanford Baptist Church. Ruth enjoyed spending time with her friends, and enjoyed gardening and flowers. Ruth leaves behind four children, James “Jim” Miller (Karen) of Danville, Kentucky, Vickie L. King (Dennis) of Garrard County, Kentucky, Billy Wayne Miller (Tracy), and Jessie James Miller both of Stanford, Kentucky; three step-children, Danny Ray Middleton (Debbie), Carolyn Sue Napier (David), and Robert Middleton all of Nicholasville; 6 grandchildren; 4 great-grandchildren; and 4 step-grandchildren. In addition to her parents, Ruth was preceded in death by her companion, George “Buck” Middleton; and several brothers and sisters. A Funeral Service will be held 1:00PM Monday, August 20, 2018 at Fox & Friend Funeral Home with Bro. Kerry Jones officiating the service. Burial will follow in Buffalo Springs Cemetery. Tim Parsons, Michael Miller, Brian Wingard, Jay Miller, Little Billy, and David Peel, Jr. will serve as Active Pallbearers. The Visitation will be held 5-8PM Sunday, August 19, 2018 at the funeral home. Fox & Friend Funeral Home, Stanford, is entrusted with Ruth’s arrangements. Guest Book at www.friendfuneralhomes.com.